Whether you are an avid winter sports enthusiast or just a fan of beautiful British Columbia, Grouse Mountain has a fantastic authentic Canadian feeling. Equipped with wood furnishings and fireplaces, snowy peaks and a fresh alpine atmosphere, your wedding will have a cozy and comfortable air! Grouse Mountain has done its fair share of winter wonderland weddings (November to March) but they are prepared all year round with grassy hillside seasonal wedding options as well. Jennifer, their Catering Sales and Wedding Event Planner, places one thing on the top of her list for all clients: “We consistently provide the ultimate experience so our guests can celebrate everything that is uniquely British Columbian”. 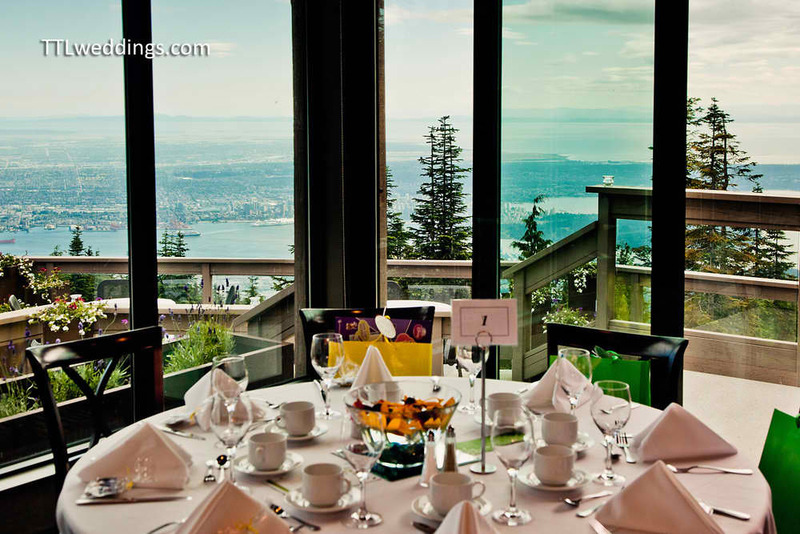 Grouse Mountain has a staggering 9 venues. There are lodge options, rooms equipped with decks, plazas, and lookouts ready to choose from. The possibilities are endless as they can accommodate any number of people, and you have the opportunity to keep the mountain’s charming, relaxed nature, or spice things up a bit and add your flare to it. The views alone on this location deserve 5 stars. You can see the twinkling lights of the city on one side, and the mountains and forests on the other. Makes for epic photos! Create a reception menu to perfectly match your style. Whether you lean towards honey-braised Alberta beef short ribs, perfectly seared scallops marinated in basil and lemon grass or a bowl of curried Salt Spring Island mussel soup, our culinary team will create a decadent dining experience for you and your guests. Our executive chef emphasizes the use of fresh, local ingredients in dishes that will appeal to a range of dietary preferences and cultural tastes. 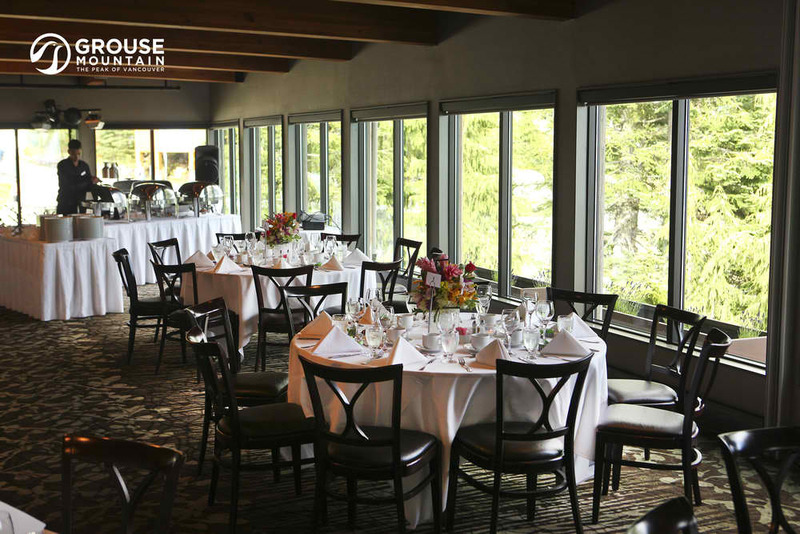 Looking for wedding planners with experience planning weddings at Grouse? 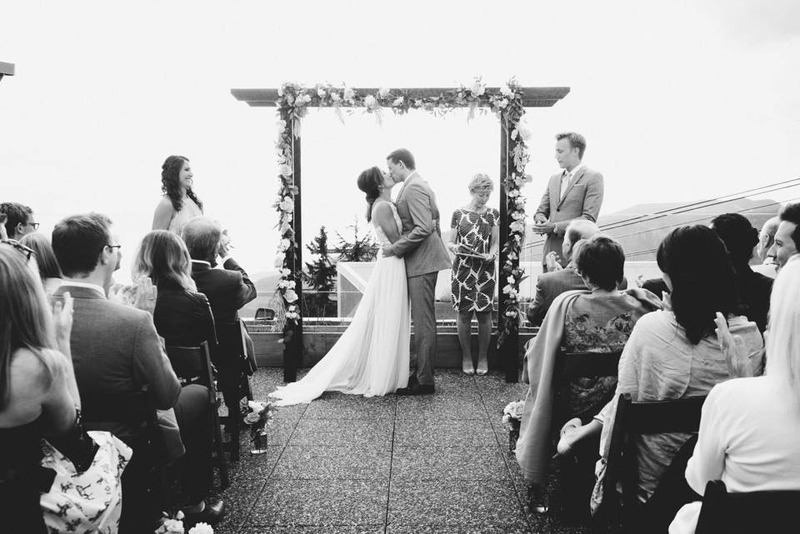 These folks have all planned fantastic weddings at Grouse Mountain before, and they come with Jennifer’s recommendation! environment. Of course, being able to arrive at your venue with a Gondola is an added bonus. How cool is that? Doing something different once in a while is good, and we always love expressing the importantce of family in pictures.